At first, your baby will get all of his nutrition from breast milk or an iron-fortified infant formula. If you plan on breastfeeding, ask the hospital personnel if they will allow you to nurse your baby right after he is delivered and before he is taken to the nursery. There will be no need to supplement with water, juice or cereal. Your newborn baby will probably be eating every hour and a half to three hours and if feeding on-demand and following your baby's cues remember that not all cries are 'hunger-cries' and you may have to set some limits (for example, not allowing him to feed every half hour). Most breastfeeding babies will eat for 10-15 minutes (although you shouldn't time your feedings) on each breast every 1 1/2 to 3 hours (about 8-12 times a day) and bottle-feeding babies will take 1-3 ounces every 2-4 hours. Feeding practices to avoid are giving a breastfed baby a bottle before he is 4-6 weeks old, putting the bottle in bed or propping the bottle while feeding, putting cereal in the bottle, feeding honey, using a low-iron formula, introducing solids before 4-6 months, or heating bottles in the microwave. According to the latest car seat guidelines, you should use a rear-facing infant or convertible car seat, and place it in the back seat until your baby is two years old or outgrows the rear-facing weight or height limits, and never place your baby in the front seat of a car with a passenger side airbag. Make sure his crib is safe: have no more than 2 3/8 inches between the bars; the mattress should be firm and fit snuggly within the crib; place it away from windows and drafts; avoid placing fluffy blankets, stuffed animals, or pillows in the crib as they can cause smothering. Make sure that used or hand-me-down equipment, such as car seats, strollers, and cribs, etc, haven't been recalled for safety reasons. Call the manufacturer or the Consumer Product Safety Commission for an up to date list of recalled products. Set the temperature of your hot water heater to 120 degrees F to prevent scalding burns. To prevent choking, never leave small objects or plastic bags in your baby's reach. Install smoke and carbon monoxide detectors and use flame retardant sleepwear. Until your baby is older and his immune system is stronger, it is probably a good idea to keep him from large groups of people or other sick children to minimize his exposure to infections. Know signs of illness: fever (call your Pediatrician right away if your baby has a temp at or above 100.4 before he is 2-3 months old), decreased appetite, vomiting, irritability, and lethargy. The first visit to the doctor is usually when your baby is 3 to 5 days old. 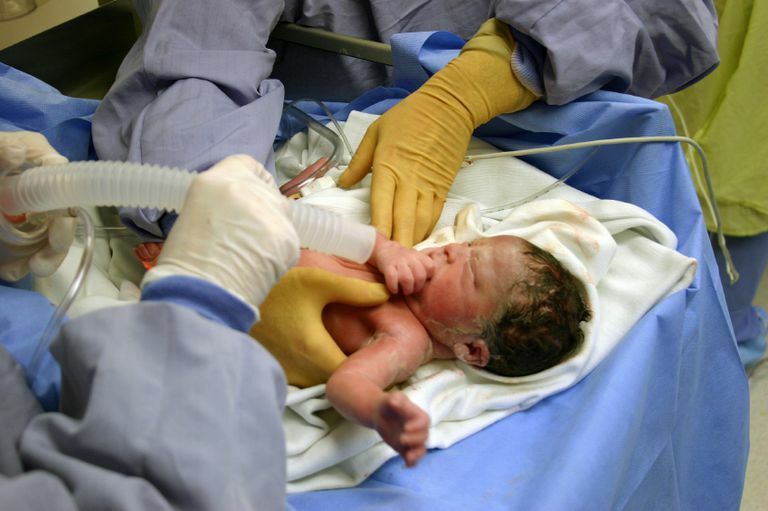 According to the American Academy of Pediatrics, babies who go home from the hospital early, before they are 48 hours old, should be examined by a health professional within 48 hours of going home. You may also need to see your doctor if your new baby has jaundice or is not feeding well.